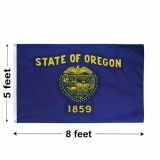 Oregon is the only state to feature a double-sided flag. The current official flag of the state of Oregonwas adopted in 1925. It is a two-sided flag in navy blue and gold with an optional gold fringe. On the front is the escutcheon from the state seal and on the reverse is a gold figure of a beaver, the state animal. Oregon Flags from Tuff Flags is a great way to show your state pride and love for Oregon. 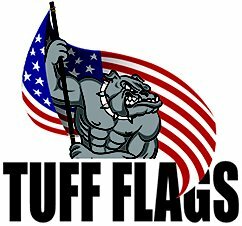 Made available in all standard sizes and in two different fabric choices of nylon and polyester, these flags are finished with heading and grommets. 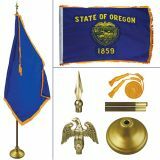 These make excellent gifts, keepsakes and display items.Shop from our complete line of Oregon Flags right away and avail the best prices, quick shipping and much more! 100% customer satisfaction guaranteed! Our Oregon Flags are 100% made in USA, commercial grade and come with 6 months guarantee on construction. Choose from 200 Denier Nylon or 2 ply polyester, these flags are made to the highest standards and to the exact specifications of the official flag. These flags look great both outdoors and indoors and are perfect options to show your love for your state of Oregon. We also have an indoor flag kit that comes with everything you may need for your flag display including ornaments, poles and tassels among others, which will impress your audience in no time. Browse our complete line of Oregon Flags at the most competitive rates. Need assistance? 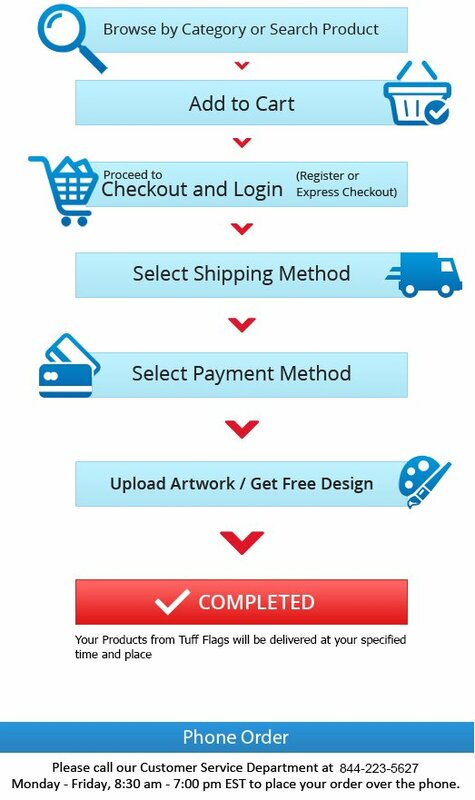 Call our toll free number (888) 287-3524 or email at customercare@tuffflags.com and we can walk you through the ordering process.